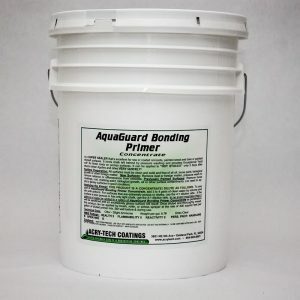 AquaGuard Primer is a concentrated, deep-penetrating, surface conditioning, adhesive and when diluted, it drives deeply into raw or porous coated exterior concrete, stucco or block. It’s also excellent for priming ‘HOT STUCCO’ after only a 5 day cure time. 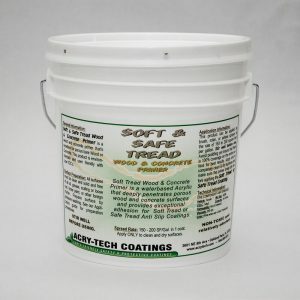 It’s fungus resistant and aids in penetrating chalky surfaces and “holding out” finish coats on porous surfaces. 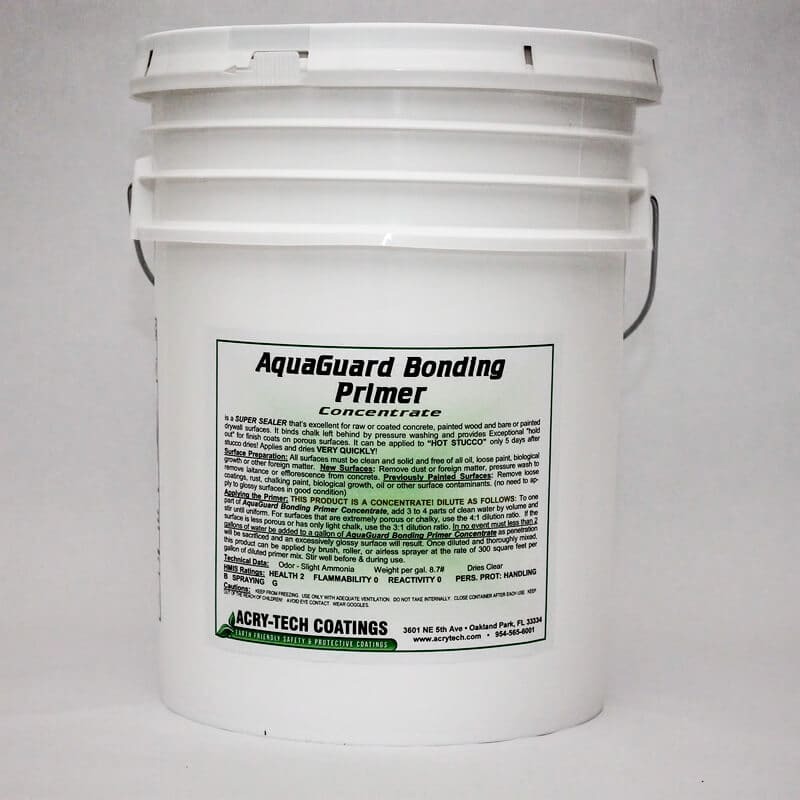 AquaGuard Primer greatly increases adhesion between the substrate and coating and also significantly reduces application costs through product savings and reduced labor. Coating or paint glides on easily over the primed surface. 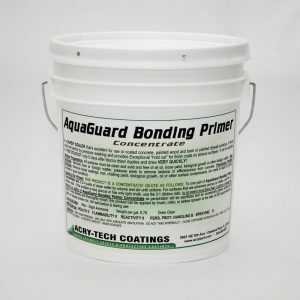 AquaGuard Bonding Primer is a single component, waterbased Acrylic concentrate that mixes with water to penetrate deeply. 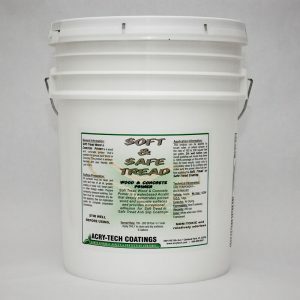 It’s a surface conditioner that’s environmentally friendly and user friendly with Low VOC’s. Cleanup is fast and easy using only soap and water. Prepare concrete surfaces by pressure washing to remove any biological growth, chalking, efflorescence, loose paint or other contamination. Prepare wood surfaces by pressure washing to remove all old stain, paint, dead wood fiber or other contaminants. Prepared surfaces must be completely dry prior to the application of the Primer. Dilute the AquaGuard Concentrate by adding 3 parts water to 1 part of Primer Concentrate. Do not dilute with less than 3 parts water! Once diluted, this product can be applied by brush, roller, or airless sprayer at the rate of 200 square feet per gallon. Stir well before use. Avoid puddling yet insure that there is 100% coverage on the entire surface for best results. Apply only to completely clean & dry surfaces and make sure the primer dries fully before applying the subsequent coatings.